Greetings, bat-friends, it's that bat-time again where we look at some comic book movies and talk about them for some reason. Doesn't the culture have enough of this? Oh well. 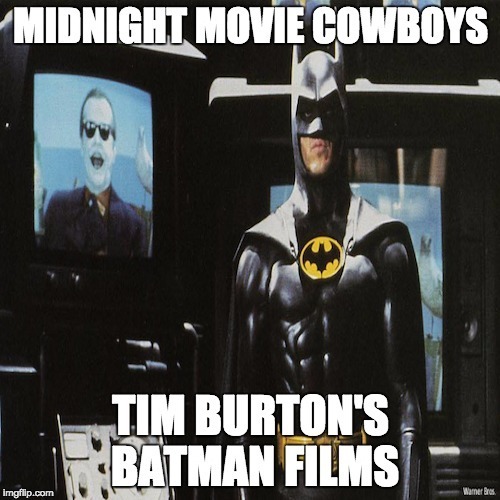 This week, we look back at Tim Burton's Batman movies, and remember them fondly...for the most part, anyway. Be sure to rate and review us on iTunes to help us out. If you're feeling generous, hit that PayPal button to d'nate. Thankyouverymuch!